Uber has unveiled its latest “flying car” concept, which looks more like a giant drone than the helicopter-like concept it first developed with NASA last year. 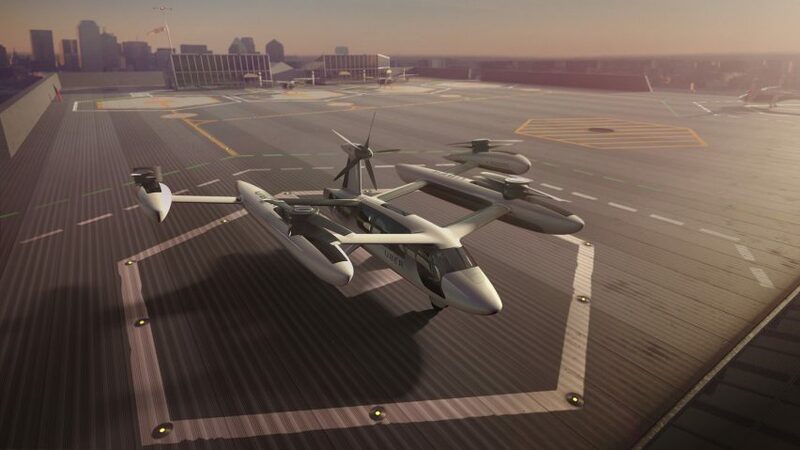 Uber shared the designs for its electric vertical take-off and landing vehicles (eVTOL) at its second annual Elevate summit in Los Angeles this week. The vehicles will make up the “world’s first urban aviation rideshare network”, which Uber said will be fully operational by 2023. The new prototype – an update of the one it created with NASA last year – is equipped with a series of drone-like stacked and co-rotating propellers. The propellors rotate in the same direction on two separate rotor systems designed to ensure safe transition between vertical and forward flight. As the fully electric aircraft employs multiple small rotors in place of a single large one, the company claims that is has a significantly quieter performance than conventional helicopters, as well as being more efficient. A fifth rotor on the tail facilitates forward propulsion. If one rotor fails, the others will continue to operate for a safe landing. 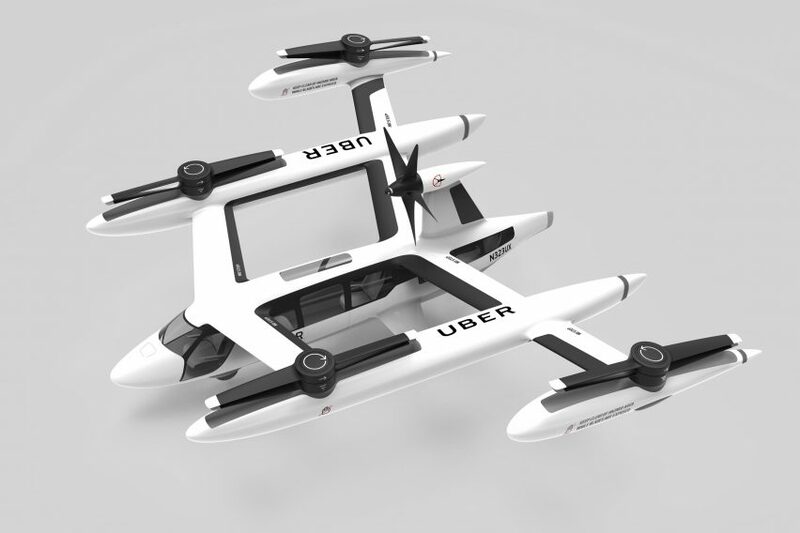 Uber said the concept was designed with a “rider-first mentality,” and is “pedestrian friendly” thanks to its high propeller blades that leave ample room for passengers to board and disembark without having to duck. The high placement of the wings also provides sheltered entry into the cabin. The company plans to begin operating demonstrator flights by 2020, and said it intends the service to be ready for on-demand commercial operations by 2023. Uber’s new design is an update on both the first concept it developed with NASA in November 2017, and the more recent cabin design showcased at the Consumer Electronics Show in January 2018. 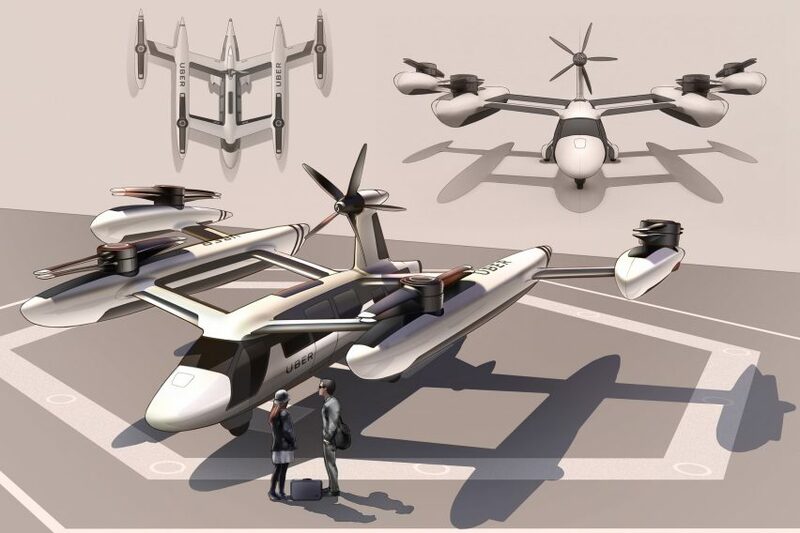 When Uber first announced its partnership with NASA, it shared its plans to develop a fleet of low-flying aircrafts for urban environments called UberAIR, which will be implemented as soon as 2020. At the most recent conference, Uber also announced an open call for the selection of its first international UberAIR launch city. Dallas and Los Angeles were previously announced as the first two launch cities, and now the firm is looking for an international city as its third partner – these three cities will be the first to offer UberAIR flights. “We’ve been thrilled by the inbound interest from the international community, and we’ve now formalised a process whereby interested cities can engage with Uber directly and articulate their views on how UberAIR can positively impact their market, and how they can help in launching and scaling the service,” said Uber’s chief product officer Jeff Holden. Uber won’t be building this exact model, however. The prototype is instead meant to serve as a reference point for the company’s manufacturing partners, such as Bell Helicopter, to use when designing their own aerial vehicles. Bell Helicopter unveiled its cabin design for the air taxi earlier this year in January at the Consumer Electronics Show, which boasted a sleek, futuristic form with narrow noses at either end of the body. With a host of connectivity technologies, including wifi, artificial intelligence, video calling, and wireless charging, the vehicle has been described by its creators as a cross between a traditional helicopter, a light aircraft and a passenger-carrying drone. The on-demand electric aircraft taxi service, it said, will be hailed using the Uber app in a bid to replace cars with aerial transportation as a quicker and more environmentally friendly way to travel in densely populated urban areas. The aircraft design can accommodate up to four passengers, and while it will be piloted by humans at first, it will eventually fly autonomously at an elevation of 1,000 to 2,000 feet (300-600 metres).